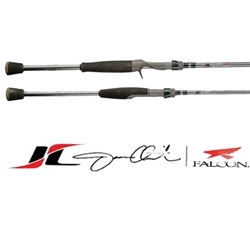 Falcon Rods and Pro Angler Jason Christie have come together to create a set of rods that will cover almost any tournament or fishing situation. Jason took a variety of his favorite Falcon actions and adjusted them to his liking. Finesse fishing has become increasingly important at the pro level. Fish a drop shot, or a shaky head.